This is a sponsored post written by me on behalf of Dream Weaver for IZEA Worldwide. All opinions are 100% mine. If I'm being honest, I really wanted to title this post "Design Dilemma". Not to sound dramatic but there's a space in our home where I spend a ton of time (and have to look at often) that literally drives me batty. The layout is strange, the functionality is off and the way I currently have the furniture placed is all kinds of wrong. 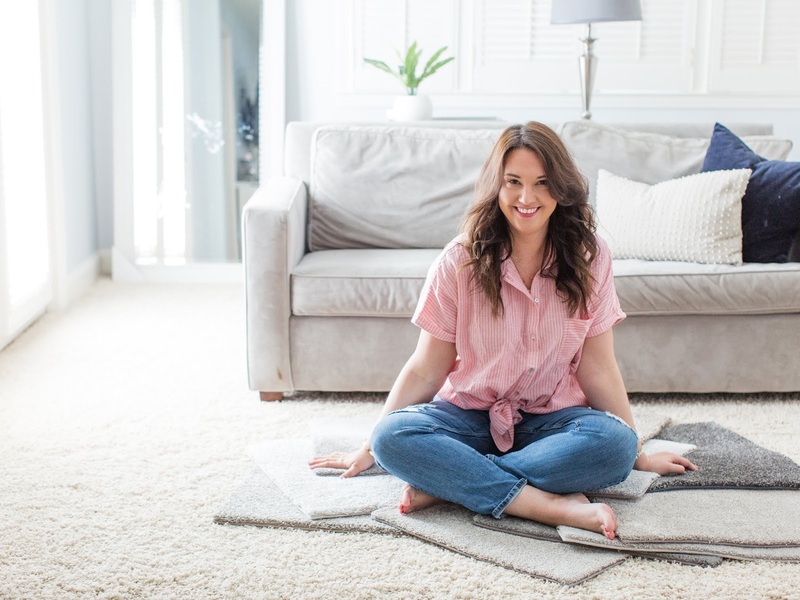 In fact, I've shared it here on the blog before because I originally struggled to find a rug for the oddly shaped spaced when we first moved in - is it ringing any bells yet? Yep, it's our master bedroom, and more specifically, the sitting room addition off our master bedroom. So here's the deal: I'll never complain about extra square footage. 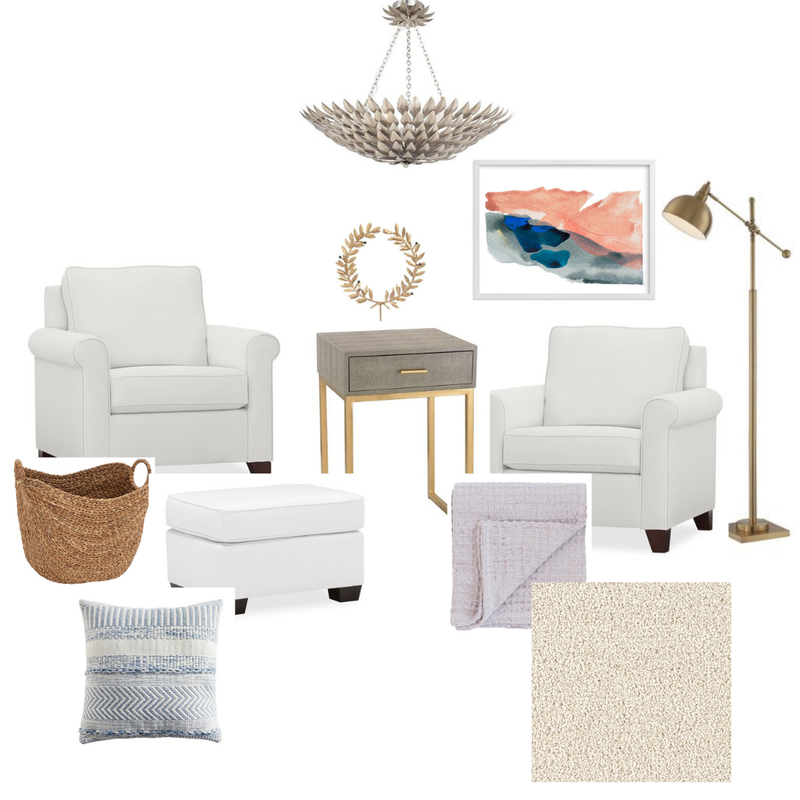 To have extra space in a master bedroom in a 1950's rancher is a unicorn style situation but when the space was added by previous owners, a few details were overlooked that make the space less than functional. I've spent a year trying to figure out what to re-do, fix or re-style in the space to make it work better for us and it finally dawned on me that every single issue eventually came back to one single element: the carpet. The fact that there's carpet in the sitting room is interesting on it's own because every single inch of our house is actually original hardwood, including our master bedroom (aside from the two bathrooms). The carpet only lives in the sitting room, which means there is a line down the middle of our bedroom that has hardwoods on one side and an incredibly thick, high pile, shag style carpet on the other. To up the ante, the sitting room happens to have three doors in it that we use all. of. the. time. Two of those doors open into the sitting room and belong to our closets and the other is an exterior door that also opens into the room and leads to our backyard. With such a high pile, shaggy carpet, the doors actually catch and have to be shoved to open or close all of the way. 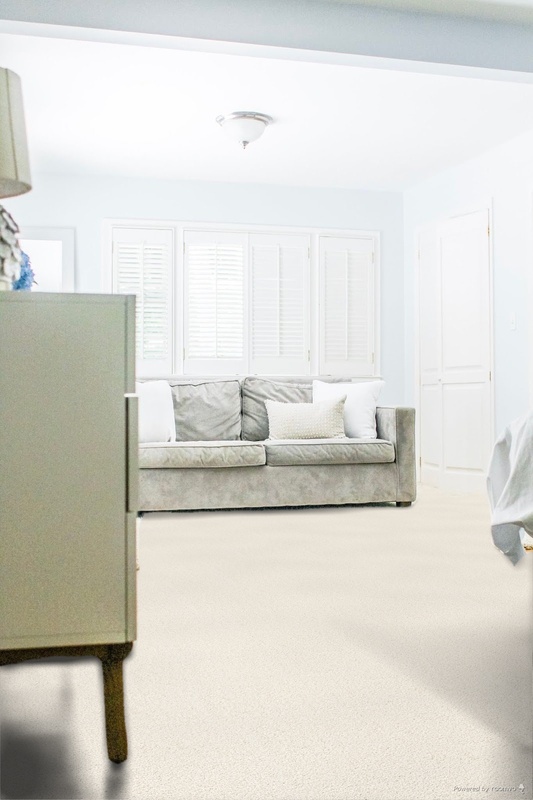 So, while I was putting my brain power toward re-designing my three doored, much used bonus space, I started with the most important element first: sourcing a new carpet that is more modern, lower piled and extremely durable and forgiving (because, hello, little kids coming in and out all day long!). 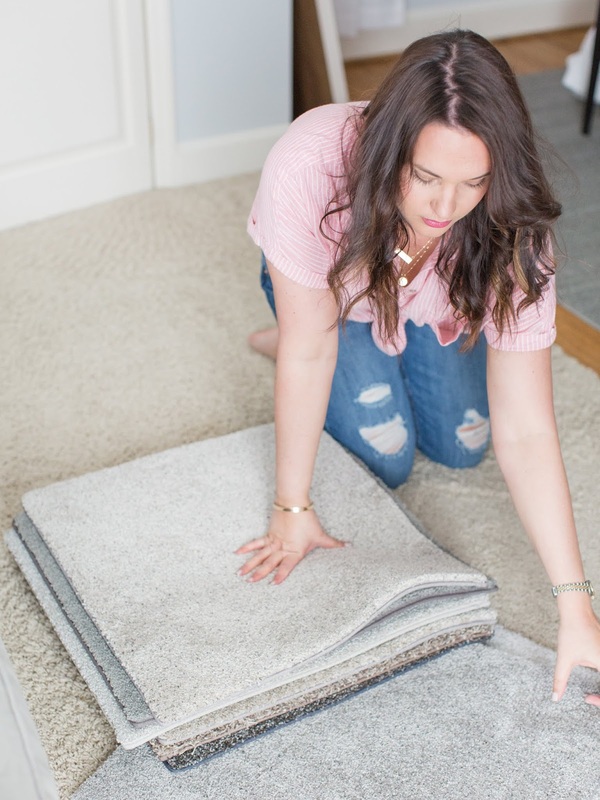 Thankfully, I got my hands on an amazing set of samples from Dream Weaver carpets which promises stain resistance in their carpets (no really, you can treat spills with diluted bleach and not hurt the carpet). 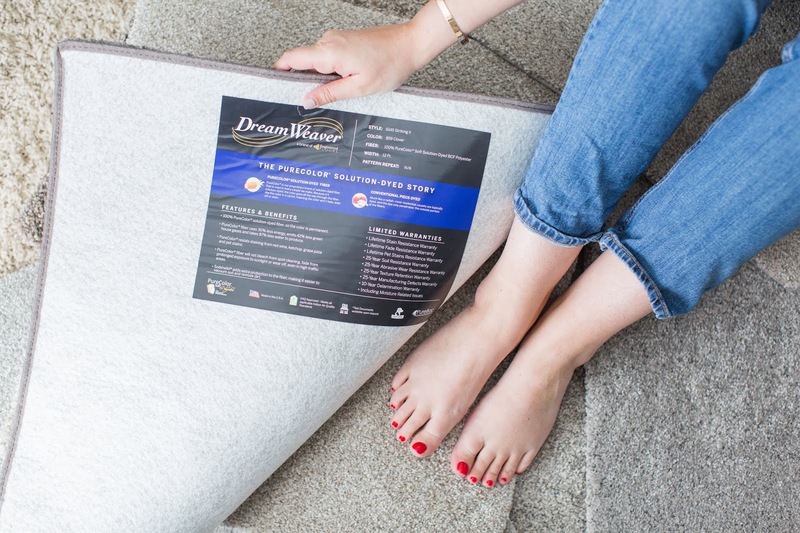 DreamWeaver TRIUMPH works in some sort of magic into their carpets called PureColor which actually resists staining from things like wine, chocolate and pets. Once I sorted through the samples and decided on the colors I loved most, I sat down and got to work on DreamWeaver's EF-EYE Visualizer to see what I was really working with. 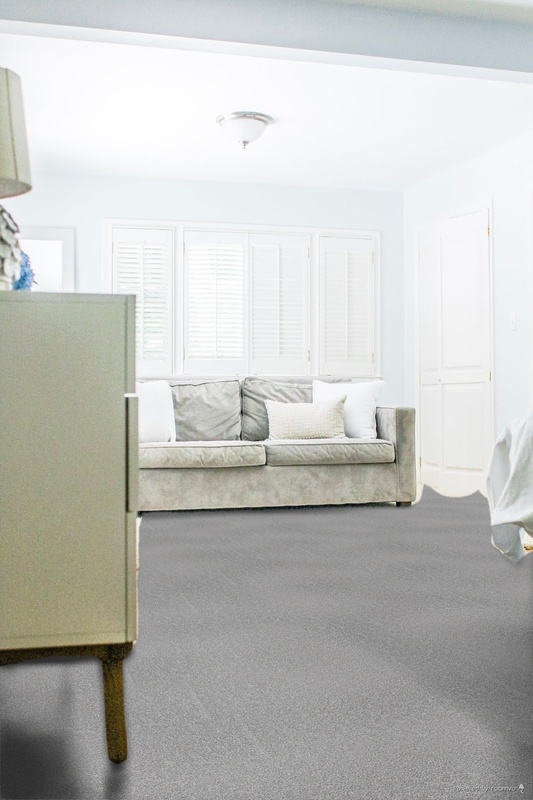 You can upload a photo of your space and see what each carpet will look like in your home. I won't carpet over the original hardwoods but I don't think the Visualizer planned on any of the spaces being cut right down the middle between carpet and hardwood, so we're going with it! Ok, now let's get to what ya'll have been waiting for - the Design Plan! I can't wait to bring this one to life!